With Southeast Asia becoming the center stage for South Korean businesses in expanding their global presence, retail conglomerates like Lotte, Shinsegae and CJ have been successfully tapping into the markets. Lotte Group has focused its investments on its retail arm Lotte Shopping’s entrance to the Indonesian market. According to the company, the Indonesia market accounts for 17 percent of total sales earned from overseas Lotte Group businesses. Lotte Mart, a discount chain operated by Lotte Shopping, currently runs 46 stores in 25 cities in Indonesia. These stores raked in 1.1 trillion won ($971 million) in sales as of the end of last year. By 2020, the company aims to open 36 more stores in 10 additional Indonesia cities. 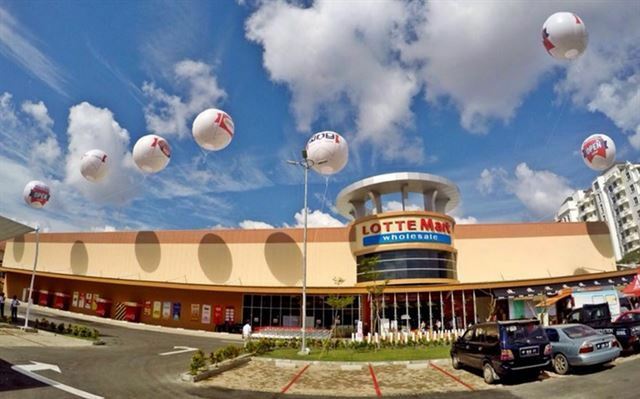 Following a successful entrance in the Indonesian market, Lotte Shopping now targets large-scale investment in Vietnam. The company will inject 330 billion won to complete the construction of Lotte Mall Hanoi by 2020. Shinsegae Group has been also speeding up its expansion into countries in the Southeast Asia. In 2015, Shinsegae’s discount chain operator E-mart opened a two-story mall located in the heart of Ho Chi Minh City at Go Vap District, one of the most developed and densely populated areas in the capital. The Go Vap branch marks E-mart’s first overseas store since the brand redirected its focus to the Southeast Asian market in 2011 after officially exiting the Chinese market. For over the next three years, E-mart will invest 549 billion won to open four more stores in Vietnam by 2020. The second outlet in Ho Chi Minh will open in the first half of next year, the group said. Singapore is another crucial country -- geographically and economically -- for the groups. SPC Group opened the first Paris Baguette store in Singapore in 2012. Now nine outlets are operated there, including one at Changi Airport. 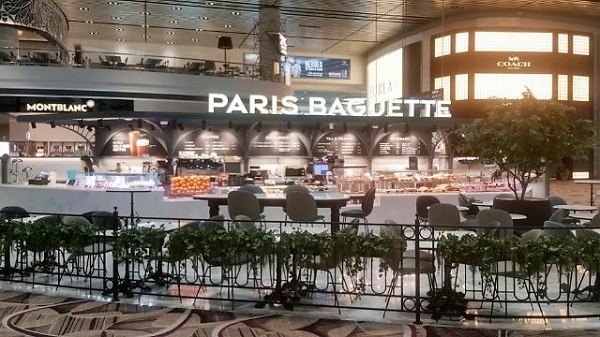 The group said its Singaporean branch Paris Baguette Singapore PTE marked a 12 percent increase in sales from 12.9 billion won in 2015 to 14.4 billion won in 2016. SPC Group said it has taken care to localize its services as much as possible to meet the needs and lifestyle of Singaporean consumers. Entertainment businesses have also penetrated Southeast Asian markets. CJ ENM, a merged corporation of CJ O Shopping and CJ E&M that officially launched in July, will open Asia’s largest virtual commerce content production center in Ho Chi Minh City, Vietnam, targeting audiences in Southeast Asian countries. The center, called DADA Studio Vietnam, will create and distribute at least 1,000 pieces of virtual commerce content from early next year. Focusing on making use of the low-cost production system and high efficiency of the talent pool in Vietnam, CJ ENM said its attempt to operate a content hub abroad would lead to boosted content sales from the global market. “CJ O Shopping and CJ E&M had already witnessed the possibility of the v-commerce content business through our DADA Studio and online creators’ platform DIA TV. To dominate the expanding global content market, a merger of the two CJ companies will show the synergized effect of CJ’s digital content and channel operation,” said Kim Do-han, a director at CJ O Shopping. 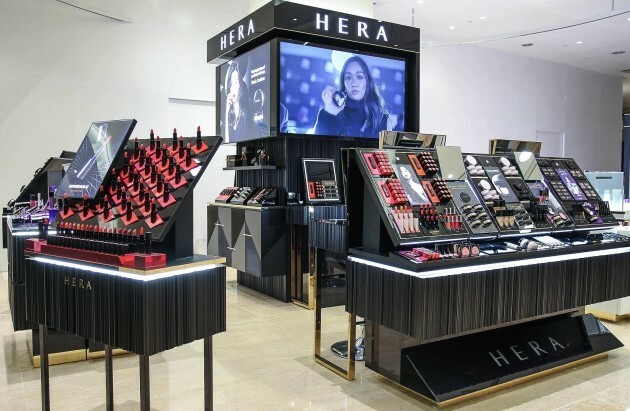 Following the K-pop boom and popularity of Korean style makeup trends, Amorepacific opened an outlet of its high-end makeup and skin care brand Hera this year at the Takashimaya Department store in the heart of Singapore’s shopping district. “Targeting the Singaporean market is important with the K-pop and Korean culture wave’s sensational influence to surrounding countries. Hera’s trendy brand image will suit well with Singapore consumers’ taste,” said Na Jung-kyun, head of Amorepacific’s Southeast Asian region division.